Local Food Britain member Garsons of Esher is celebrating a prestigious national award for its breathtaking Christmas display. The creation, which is the result of a collaboration between all the Garsons' team, is a fantastic way to kick start a successful Christmas season. 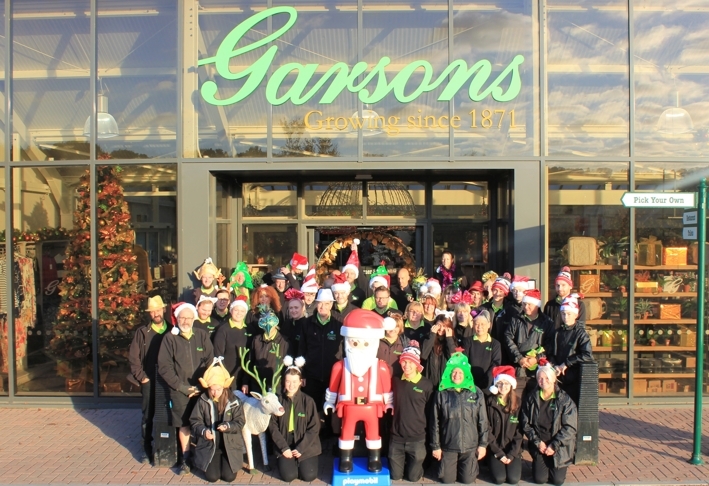 A magical Christmas wonderland created at Garsons of Esher has been given national recognition by the Garden Centre Association. Following rigorous judging the festive display, which captures the magic of the West End, has come joint fifth in the country in the GCA’s Christmas Competition, alongside the garden centre’s sister site in Titchfield, Hampshire. Prepare to be amazed by the beautifully decorated Garsons of Esher where the pizzazz of the West End is celebrated in a riot of colour and glitter. Each "set" provides a different theme to inspire you as you look for the perfect decorations for your own winter wonderland.